Get Canada PR Migration Services for Code 0112 Human Resources Managers! Permanent residency for the ‘Maple Leaf Country’, i.e., Canada, is applicable for those immigrants who are not the Canadian citizens but they have been permitted to live and work in any Canadian province or territory, without any limitation on their stay. However, it is mandatory that the applicant lives in the nation for a minimum period of two years out of every five, or they may lose that status. However–if you are keen to migrate with a PR status–then you will be, perhaps, pleased to know that the well-known and widely used Canada Federal Skilled Worker Program for 2014, has recently announced 50 in-demand occupations, and Human Resource Managers, under the code 0112, are currently in huge demand. The migration services for these professionals are most beneficial and helpful. If you are a qualified Human Resource Manager, you are advised to make the most of the development. These experts systematize, monitor, plan, oversee, and analyze the operations of human resources and personnel departments, develop and put into practice programs, rules and processes involving human resource staffing, planning, training, collective bargaining. At various levels, these experts represent the management and actively take part on various joint committees to balance the ongoing association between employees and the organization. The services of these experts are high in demand both private and public fields. Trained Human Resource Managers have enough potential for advancement to senior positions a large number of positions has fallen vacant due to the retirement of present professionals and/or the promotion of these professionals to the higher positions. Economic boom throughout the country has also boosted the demand of these experts. Entry level pay packages for these professionals are $80,000, but an experienced specialist may easily earn a handsome pay cheque of $130,000 per year. • Systematize, supervise, keep an eye on and scrutinize the operations of either human resources or personnel departments. • In conjunction with other departmental managers plan human resource needs. • Co-ordinate between internal and external recruitment movements & training. • Develop and carry-out various polices involving labor relations and discuss collective agreements. • Keep an eye on employees’ progress and growth, language training, & safety schemes. • Assist and advice other departmental managers on the interpretation and management of personnel rules and plans. • Check the classification and rating of professions. • Perform employee information meetings on the advantages and compensation, employment policy and vigorously take part in the different joint committees. • Watch the firm’s quality management scheme and confirm that compliance with legislation is done. Get PR migration services from experienced visa advisors and consultants, if you are really keen to immigrate to Canada, using the code 0112 as one of the skilled Human Resource Managers. 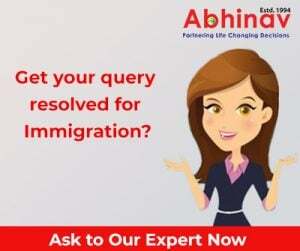 As hinted before, the time is just perfect for the professionals like you to move to the well-known immigration destination, and become its proud permanent resident. The official requirement of the experts like you in the country means that your petition will be fast-tracked by the Citizenship and Immigration Canada (CIC), and you will be welcomed by the nation with open arms. You will not only get rewarding job opportunities to exhibit your skills, but also get a chance to live in one of the most developed and successful economies of the world. Contact an expert visa agent today! Use the PR migration services offered by him to live your dreams! Canada beckons you! Get Services from Only Reliable UK Entrepreneur Visa Consultants in India!